VERO BEACH – The Indian River County Sheriff’s Office received a call from a nurse at the Indian River Medical Center about a Vero Beach man injecting cocaine into a patient. 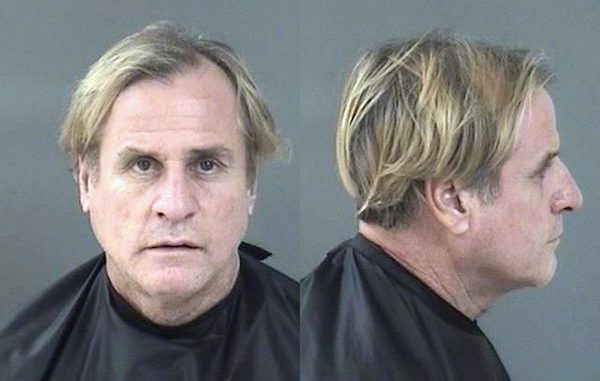 Deputies arrived at the Vero Beach location and made contact with a nurse, who said she observed a man in a patient’s room injecting a needle into her arm. The nurse took the syringe from the man and then notified authorities. The nurse also told deputies that the patient has a no visitation order in place because of past drug incidents. Law enforcement then made contact with the man, identified as 55-year-old Vincent Frederick Sperling, who denied doing anything wrong. “Mr. Sperling denied any knowledge of either possession or use of a syringe to inject a substance into the patient,” the deputy said. Sperling was also adamant that his fingerprints would not be on the syringe, stating repeatedly he was never in possession of it, according to the report. Deputies then made contact with the female patient who began to cry and eventually stated that Sperling helped her inject Cocaine into her arm. She said Sperling has visted her in the past since she has been in the hospital for over a month. “Mr. Sperling told her he brought Cocaine, assisted her in mixing the Cocaine into a liquid so it could be injected, helped her charge the syringe, and held it for her while she injected it,” the deputy stated. Sperling said that when the nurse walked into the room, the female patient handed him the syringe and that’s when the nurse saw him with it. Deputies field tested the syringe, and it tested positive for Cocaine. Sperling was arrested for delivery of Cocaine in Vero Beach and transported to the Indian River County Jail. He has since posted a $25,000.00 bond.